At Troubled Boys Ranch, we know that behavioral issues, substance abuse and other youth challenges occur year-round and not just during the school year. We provide a complete year-round program that includes the summer months when traditional schooling may not be in session. The Troubled Boys participating in our summer programs for troubled youth have the pleasure of excellent weather, longer days, and starry night skies. 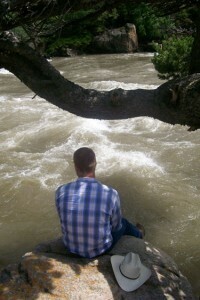 It is here on the ranch during the summer months when many of the boys in our troubled teen programs begin to realize their role in life and the responsibilities they must assume in order to become a contributing member of society. It also here where they often feel closer to God. Though the calendar reads “summer,” our commitment to teen leadership remains the same. We strive to achieve excellence in all of the components of our philosophy: Education, attitude, responsibility, work ethic and service. It is here that Troubled Boys Ranch start their journey toward understanding that a complete life means sacrifice and self-respect and that these qualities require constant attention. Life is sacred, and the consequences of our actions are the result of the choices we make. Boys begin to understand that good results come from good effort and good choices. What is learned on the ranch has a direct connection to life when teens return home. For example, when they are assigned the task of feeding horses every day, that responsibility translates into making his bed at home or keeping his room clean. Horses are an integral part of life here at Triangle Cross, and we use horses to teach Troubled Boys Ranch life lessons. We have several staff members who are trained in equine therapy, which means that interaction with horses helps assist the Troubled Boys Ranch in recognizing and reconciling their problems. As your son develops a relationship with his new environment and becomes more knowledgeable and responsible, he will be given more responsibility for the daily chores and events that make ranch life a maturing and challenging life experience. The troubled teens in Triangle Cross Ranch Summer Program may be part of a three day cattle drive, which includes sleeping out under the night skies. On the drive, they learn about Natural Horsemanship and aspects of range management. The maintaining and building of improvements such as water lines, fences, etc., are an essential part of the summer cow-camp experience. 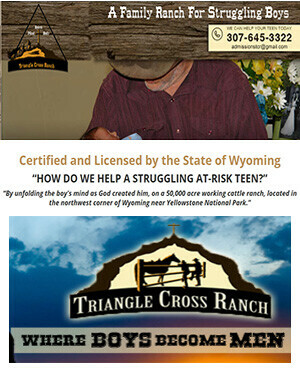 Triangle Cross Ranch offers summer programs to young men ages 10-17 during the months of May till September (or when school starts). This life-changing program can be individualized to the specific needs of your troubled teen.